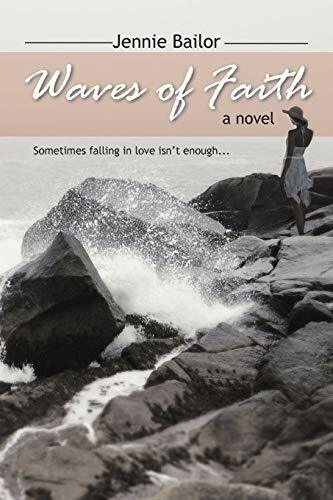 After years of failed relationships, Faith Kase, a twenty-something vet tech from mountainous Vermont, literally runs into the one thing she has always desired: true love. Cole Richards, an infatuation from school, is everything she remembers, only better. Caught in a brilliant explosion of raw passion and spell-binding adoration, their connection quickly defies the average relationship. Only when tragedy uproots her fairy tale happiness does she become consumed with the missing link. Her maternal grandmother, Louise-who lives in Newport, and is her one other familial extension besides her mom-proves easy enough to find, but in forming that relationship she destroys another, losing herself. In this heartwarming drama, Faith, a naturally passive-aggressive avoider, must re-define all that she knows: her hope in the future, and distinguishing between the life she was convinced she was meant to have and the life which now awaits her. With unwavering help from her small, tight-knit inner circle, she finds what the dynamics of prayer and support can do, and encounters an extraordinary being who lifts her up from her downward cycle, lighting her path, and enforcing the power of what faith in all that is good can truly accomplish. Jennie has been an avid reader of fiction for over twenty years, dreaming of the day her own book would be published. Passionate about writing, love, wine, and God-though not necessarily in that order-she pursues each wholeheartedly. She resides with her husband and three children in Lancaster, Ohio.